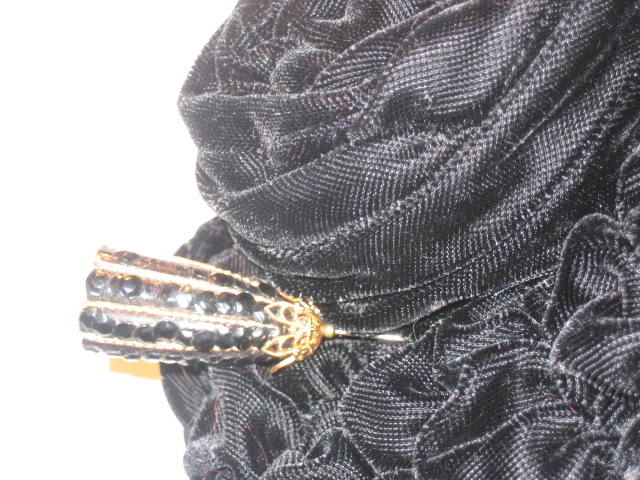 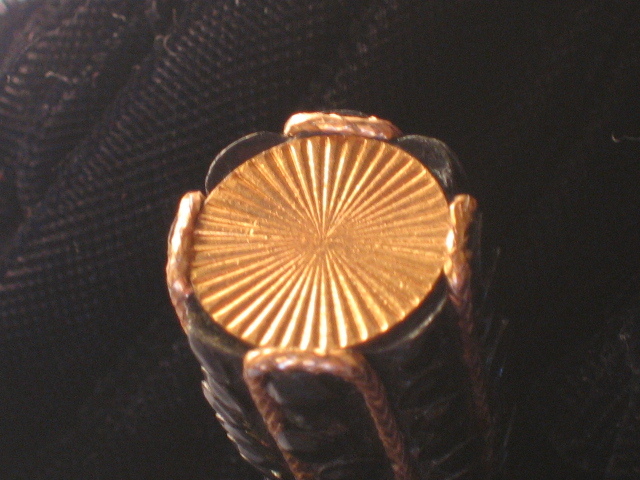 Vintage fancy gold and black hat pin. 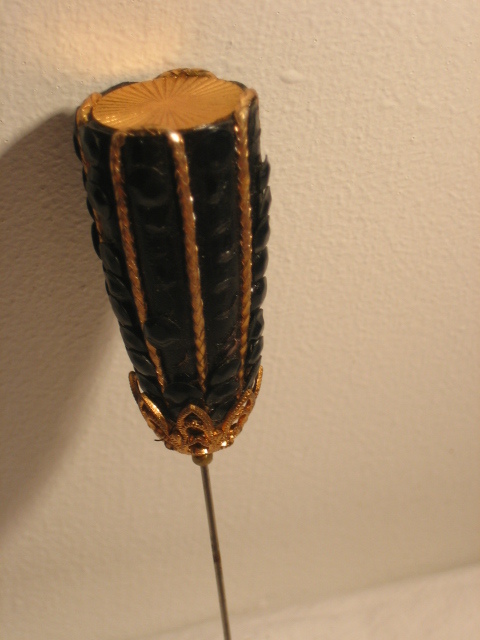 Very fancy vintage hat pin, probably 1950s, designed to be noticed! 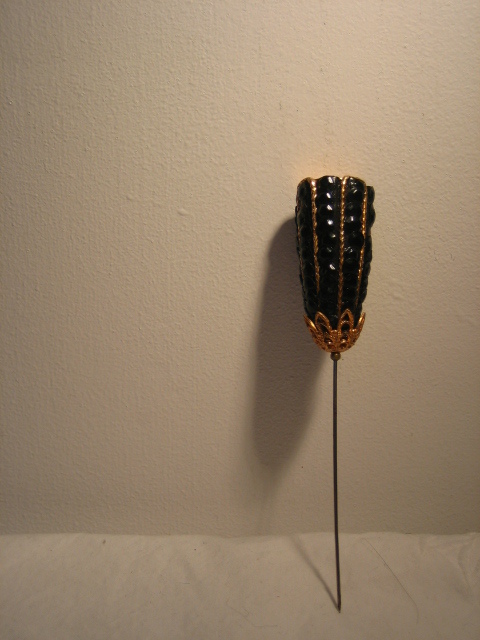 Really smart, black and gold metal, just the thing for that hat you've just bought!